The NVIDIA’s GeForce RTX 20-series is without a doubt the most anticipated graphics cards for 2018. The NVIDIA GeForce GTX 10-series was released in May 2016, so this new series has been years in the making. NVIDIA already announced the RTX 20-series cards as well as allowed us to talk about the Turing GPU architecture that powers this new series. We’ve already talked about new features like Ray Tracing, DLSS, NVLink, as well as pricing. 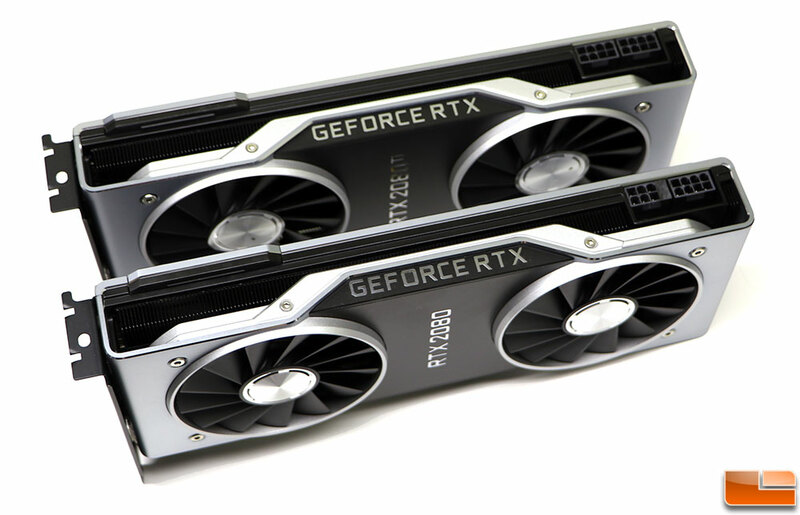 With so much already disclosed about the GeForce RTX series graphics cards we are going to jump straight into our performance review of the NVIDIA GeForce RTX 2080 Ti Founders Edition and the GeForce RTX 2080 Founders Edition. Here is a quick table that shows the specifications of the GeForce RTX 2080 Ti and RTX 2080 Founder’s Editions to the previous GeForce GTX 1080 Ti and GTX 1080 Founder’s Editions for those that would like a quick recap. 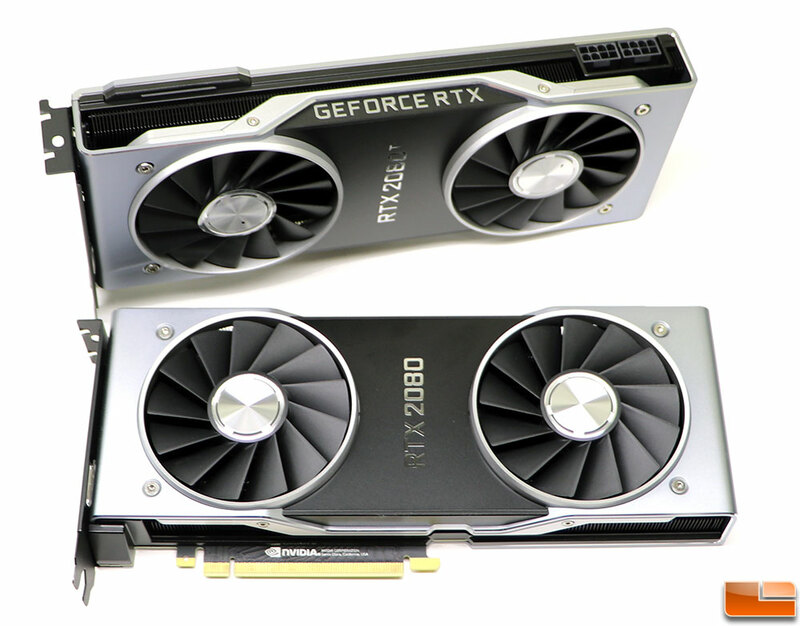 The 2080 Ti and 2080 are both 10.5″ long dual-slot graphics cards and visually look the same from the front other than the branding on the shield. 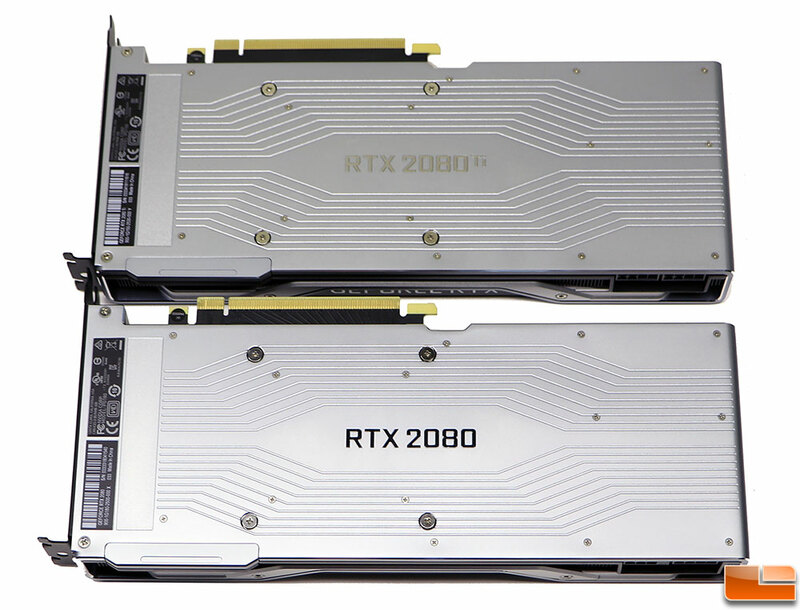 When you look down at the top of the cards you’ll see that the RTX 2080 has an 8 pin + 6 pin power configuration while the RTX 2080 Ti has two 8 pin power connectors. The RTX 2080 Ti is a 260W TDP card and the RTX 2080 is a 225W TDP card. Despite the different graphics card power ratings, NVIDIA recommends a 650W power supply for proper operation. The new resigned looks for NVIDIA Founder Edition models is much welcomed and we are fans of the new look. 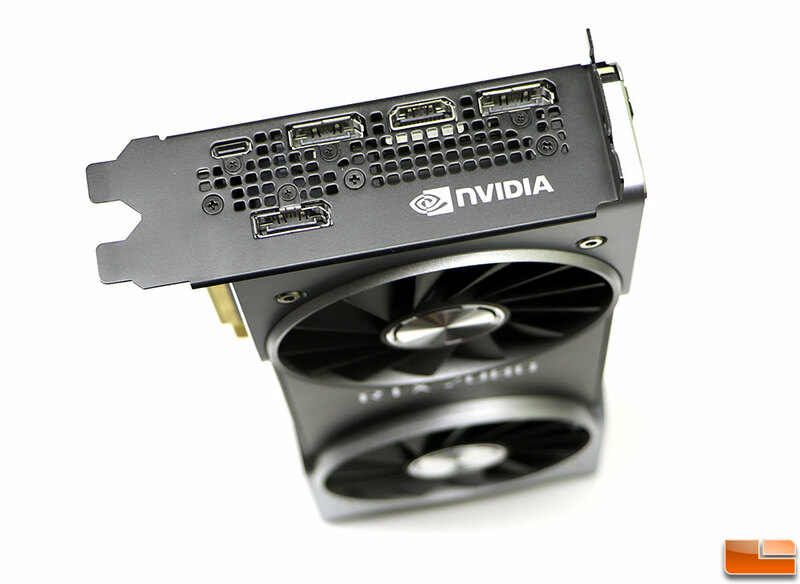 NVIDIA has moved away from the blower-style GPU cooler and is using a dual axial fan design with a vapor chamber. This is a design that most of NVIDIA’s board partners use, so many of our readers will be familiar with GPU coolers like this. The back of the cards is just as beautiful as the front with full coverage back plates that have the model name proudly displayed in the middle. When it comes to display support there have been some significant changes that we need to point out. You have three DisplayPort 1.4 and one HDMI 2.0b connector, but there is the new VirtualLink port (USB Type-C) that you can use. The VirtualLink port provides four high-speed HBR3 DisplayPort lanes, USB 3.1 Gen 2 connectivity, as well as 27W of power delivery. Along the top side of the RTX 2080 Ti and RTX 2080 you’ll find a brand new connector for multi-GPU gaming, called NVLink. This interface replaces the old-school SLI connector and can do so much more than SLI ever could. 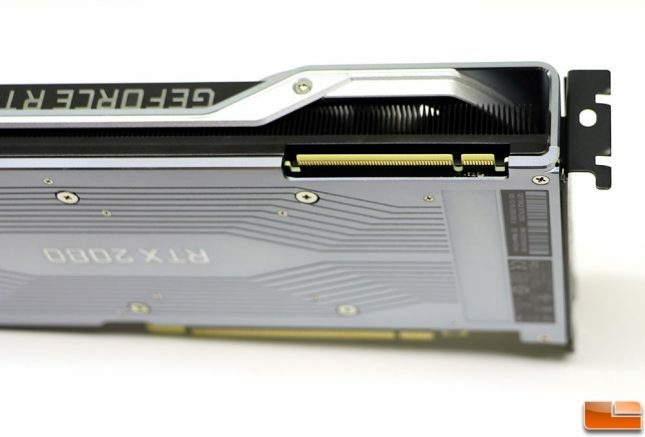 The NVLink bridge is a foundation for the future that allows for a super fast low-latency 100 GB/s connection between two cards. This allows for a peer-to-peer interface and will allow game developers to render games in ways previously impossible with SLI that used AFR. It also supports resolutions up to 8K (Single Link on the RTX 2080) and even 8K surround (Dual Link on the RTX 2080 Ti). NVLink only supports 2 GPUs and will not be used on other cards in the RTX 20-series.